Are you searching for Bluetooth 5.0 headphones, but are having a hard time locating a pair that you’re happy with? Bluetooth 5.0 is a relatively new technology that hasn’t been implemented in the majority of headphones. Therefore, it can be hard to find Bluetooth 5.0 headphones that also have the other features you’re looking for. However, we have researched the marketplace to locate some of the most highly rated headphones in this category. You cannot go wrong by selecting any model from our list of the top picks. Using our guide you’ll save time and also learn about how to buy the best Bluetooth headphones for your needs. The section on buying factors to consider delves deep into the notable features you should be paying attention to when comparing the various headphones. Once you’re done reading this buying guide you’ll have an easy time selecting the Bluetooth 5.0 headphones that are within your budget range. We hope you have as much fun reading this buyer’s guide as we had putting it together. Update: There are no Bluetooth 5.0 headphones that have been released yet, just earbuds. We will update this post once some have come out. Please let us know in the comments if you see any. Has a 12 hour battery life and a variety of eartip sizes. It’s Affordable and offers one step connectivity. Has a 48 hour battery life and Graphene audio drivers. Bluetooth is a technology that allows for wireless connectivity and the 5.0 version comes with a number of upgrades over the previous versions. However, to take full advantage of the beneficial features both devices must have Bluetooth 5.0. For example, if you’re connecting the headphones to a smartphone, it too must support Bluetooth 5.0 and it’s mostly found in newer models such as the iPhone X. A larger proportion of devices will have the latest version of Bluetooth as time goes on. Better connection quality: the overall connection quality is improved with 5.0 – the data transfer rate is higher and the connectivity distance has been increased from 200 feet to 800 feet. With a better connection quality, you’ll be able to enjoy music the way it was meant to be heard. Backwards compatible: Bluetooth 5.0 is fully backward compatible with previous versions of Bluetooth. 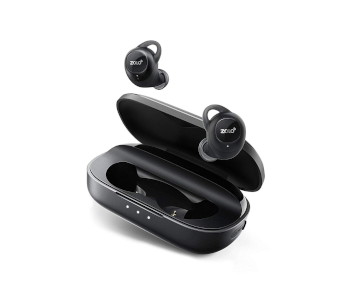 Therefore, your Bluetooth 5.0 headphones can connect with all Bluetooth speakers, smartphones, and any other devices. This means you can buy a future proof pair of headphones. However, don’t expect the advantages mentioned previously when connecting to older versions of Bluetooth. 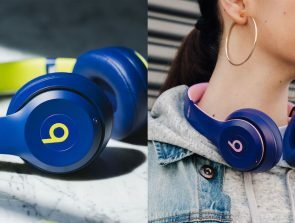 All headphones in this buying guide are wireless as Bluetooth 5.0 has been implemented, however, the wireless experience will differ from one product to the next. Pay attention to the battery life as this can vary wildly. Do you want to use the headphones for traveling? Then you would benefit from a long battery life of over 10 hours so that you can enjoy audio throughout the day. Some headphones come with a quick charge feature that allows you to get a boost in battery life for a relatively short period of time – 2-10 minutes in some instances. Such a feature is handy if you’re just about to go out and have forgotten to charge the headphones. Wireless headphones improve comfort by removing wires from the equation. Therefore, you can walk to work or take part in sports without having to worry about the placement of a wire. Headphones have advanced considerably in the last few years when it comes to the audio department – even in the budget models. 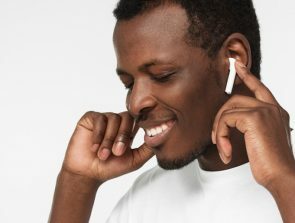 Bluetooth 5.0 offers considerable upgrades in the data connection quality, which means audio is not sacrificed due to the wireless nature of the connection. Frequency range: a wider frequency range unlocks a richer audio experience and 20Hz-20KHz is desirable. This is the frequency range the ear can hear and most quality headphones will offer this range. Bass: bass represents the audio at the lower frequencies and contributes to impactful music. In the description of the headphones pay attention to what’s mentioned about the bass implementation. Some brands go the extra mile by boosting the bass, but the feature is not for everyone. It may create an artificial audio experience that some audiophiles do not appreciate. Connection quality: it’s important to see what version of Bluetooth is implemented to figure out what kind of connection quality you can expect. All the headphones in this guide offer 5.0, but when looking elsewhere you’ll need to pay attention to the version. A big part of the buying process is selecting the brand you’re going to buy from. Some buyers play it safe by sticking with the top audio in the brands like Sony, Sennheiser and Bose. However, some smaller brands offer quality that’s comparable and might even be better for a given price bracket. The brand also determines the quality of the post-purchase customer care. Some might be slow to respond while others eager to help you get the most out of their headphones. A responsive brand is desirable when trying to take advantage of a warranty deal. Brands can also provide a signature feature that adds to the experience. For example, HyperX offers a foam memory technology that contributes to comfortable earcups. Look out for these signature features as they typically provide something unique that isn’t just a gimmick. Earcups: headphones with large earcups are bulkier, but don’t put pressure on the ears. Furthermore, the earcups should be made from soft material so the sensation on the skin is pleasant. Weight: if you’re sitting at home watching a movie with the headphone then weight might not be an issue. However, it can be a problem when traveling or at the gym. We have added the weight in all the fact boxes of our buyer’s guide for your convenience. Type of fit: earbuds have different design characteristics that determine comfort. Some have a simple in-ear design, while others come with earhooks that latch onto the ear. The design you opt for will generally depend on your preference and the intended use. It would be highly frustrating if the headphones were to break just a few months after purchase – therefore, you should give the durability some consideration. Pay attention to the materials used as this determines the rate at which the headphones will deteriorate. Some headphones have a waterproof design that allows them to be used for outdoor activities and going to the gym. However, in most cases they are waterproof to rain and sweat – if you were to submerge the headphones water will get inside. Take a look at the warranty information to help you figure out the durability. A company that believes in the quality of their product will provide a lengthy warranty period that covers a wide range of damage types. At the budget price point of under $40, you’ll find some well-executed Bluetooth 5.0 headphones that provide the best wireless connectivity technology that’s available. The fit and comfort of these headphones is notable, and the audio quality isn’t bad either given the low price point. The low cost of these headphones goes to show you do not need to pay a premium price point in order to enjoy the latest and best of what technology has to offer. However, if you’re after industry-leading audio, then you will need to look at some of the more expensive options. These Anker headphones offer a mix of well-implemented features that includes Bluetooth 5.0 and anti-sweat technology. It’s a personal audio solution that’s ideal for travelers or those into sports. You’re getting a competitively priced piece of kit at just under $40. The Bluetooth connection can last for 12 hours, which is above the industry average. You’ll be able to enjoy music all day without worrying when they’ll need to be charged. It’s also over a week worth of workout time so you may only need to charge them once per week. The comfort of these headphones is one of the highlights and that’s why they are suitable for sports. Earhooks are provided that latch onto the ears, which greatly reduces the chances of them falling out. Therefore, when you’re doing the last rep or spiriting at the end of your jog you can rely on stability. The in-line controls allow you to alter the volume levels, music, and microphone. Having a mic allows you to speak while working out without the need to reach for your smartphone. Furthermore, a carrying pouch is included that allows you to store the earbuds while not in use. The pouch is a nice size as it’s relatively small but large enough to fit the headphones inside. A variety of eartips are provided, which include extra small, small, medium, large, and extra-large. The range of sizes means you’ll be able to get a fit that best matches your ear size. This reduces the chances of the earbuds falling out during vigorous movements. Anker Soundcore Spirit X Sports also excels in the audio department for the budget price tag. Deep bass and clarity are offered that will impress those who are looking for an affordable personal audio solution. A balanced overview of the product is required to make an informed buying choice and with that thought in mind, we will consider the drawbacks. 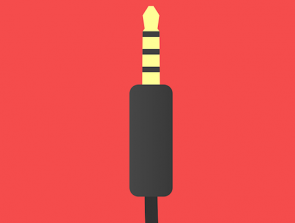 The audio cable is slightly thin, which gives the product a less premium feel. Also, the noise isolation could be improved, but choosing the right eartips will help you with that. To summarize, the Anker Soundcore Spirit X Sports is the ideal Bluetooth 5.0 headphones for the sports enthusiast. The mix of audio quality, comfortable fit, and long battery life mean you’re getting a solid offering. 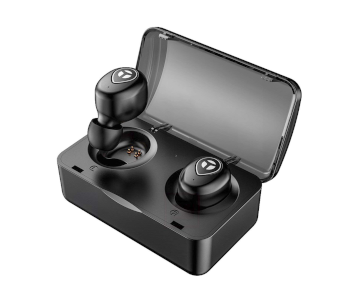 The OYRGCIK Wireless Earbuds is another excellent choice in the Bluetooth 5.0 category for the budget buyer. 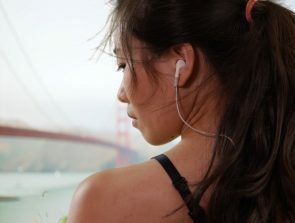 At the cost of just under $40 you’re getting a well-executed set of earbuds that’s suitable for any occasion – this includes jogging, the gym, hiking, biking, and traveling. 3 pairs of eartips are included to find the right fit and the in-ear design provides a secure fit. 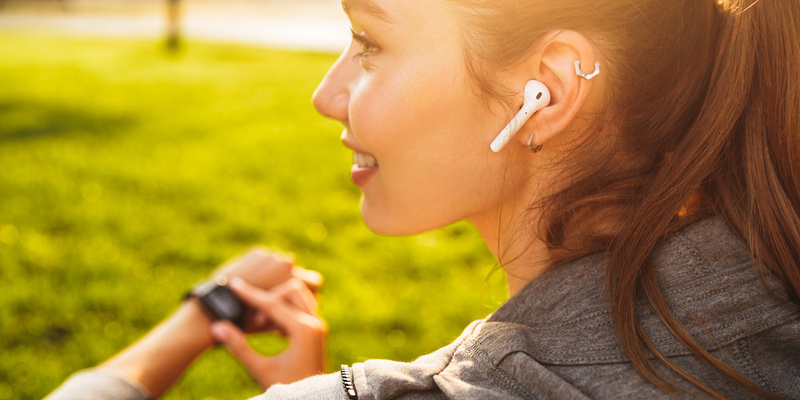 Therefore, the chances of these earbuds coming loose are minimal – even when you are taking part in vigorous exercise. The low weight and minimalist design also contribute to the comfort of wearing the OYRGCIK Wireless Earbuds. Each charge gives you 3-4 hours of battery life, but with the charging box, you receive a total of 15 hours, which should last you the entire day or week depending on how long you use them for. The built-in 45 mAh battery takes up 45-60 minutes to charge the earbuds. The stable Bluetooth 5.0 connection has a range of 33 feet (10m) and the time to connect is very fast – especially if you are connecting to the device you have connected to before. You can also connect to two devices at the same time, such as a portable speaker and your smartphone. The highly rated earbuds also come with a few drawbacks that are worth keeping in mind before making the purchase. Noise isolation could be improved so you can enjoy music in noisy environments. Furthermore, the lack of battery life without the charging case might be a limiting factor for some. 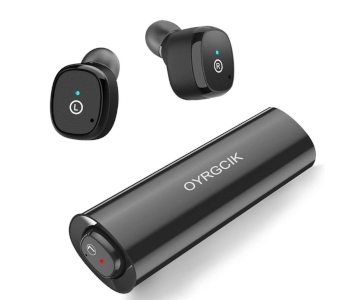 To conclude, the OYRGCIK Wireless Earbuds is a solid choice for travelers, sports enthusiasts, and commuters. The elegant design has a secure fit and the array of features means you’ll get to use the earbuds in a variety of ways. Consumers looking for the best Bluetooth 5.0 headphones on the market available right now will find them in the under $150 category. The length of the battery life, audio quality, and durability will please the majority of buyers. The most expensive option on this list comes with an array of features that justifies the high price point. However, you need to consider how you will use the headphones and if you’ll end up taking full advantage of the features. The Anker Zolo Liberty+ comes with a few advantages over the previous model and one of them is the upgrade from Bluetooth 4.2 to 5.0. Furthermore, the battery life has been doubled and the driver size increased to 6mm. The premium price point of $150 demands a higher number of features and these headphones deliver. The wireless connection provides 48 hours of battery life, which means you will not have to worry about charging them frequently. Simply store them in the case at the end of the day to top up on battery life. For example, if you listen 3 hours per day, then you can enjoy music for 2 weeks before a power outlet is required. Bluetooth 5.0 offers a very reliable connection that is distortion-free over an extended distance. Are you a sports enthusiast that’s looking for comfort and durability? Then the Anker Zolo Liberty+ is worthy of your consideration due to the sweat-resistant feature. You can be sweating or running in the rain and not worry about damage to the earbuds. The GripFit Technology provides a solid rock fit that is comfortable and secure. A personalized music experience can be created using the ZOLO Life app. EQ profiles can be set up to change the audio profile to match different moods and genres of music you’re enjoying. Bass boosting is also available that creates an impactful level of audio. The audio drivers are created from graphene, which provides high levels of flexibility and strength. A disadvantage of the Anker Zolo Liberty+ is the premium price point, but you can fully justify it given the range of premium features. Also, the battery life is quite small if the carrying case is not used to charge the unit. To conclude, the Anker Zolo Liberty+ is a mix of impressive features that gives you full control over your audio experience via the app. It’s ideal for sports enthusiasts that need durability, comfort, and industry-leading audio. It’s one of the better Bluetooth 5.0 headphones that are available to buy right now. These Tranya earbuds come with an array of features that should give you some food for thought. The implementation of the bass, minimal design, and Bluetooth is what stands out here. It’s a highly rated product that is affordably priced and even comes with a convenient carrying case. The HD sound comes with deep bass, which is perfect for those who enjoy impactful music. A deep bass feature also comes in handy when you are working out and want to be motivated by music that energizes you. 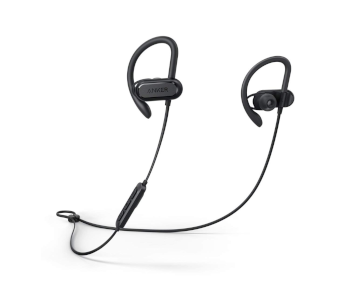 These headphones have a waterproof design, which is another useful feature for working out or taking a jog in all manner of weather conditions. There is no need to protect the headphones from light moisture, but don’t submerge them into water. The Tranya headphones are not fully waterproof, which means they aren’t suitable for swimming. 3-4 hours of playing time is available on a single charge, but the total time can be extended to 15 hours when the carrying case is used. It’s a straightforward way to charge your earbuds while traveling. The option to charge the earbuds 4 times while traveling is a highly desirable feature. The carrying case also does a good job of protecting the earbuds while not in use. The earbuds automatically turn off once they are placed in the charging case. Android smartphones have their battery life displayed on the screen, but the earbuds are also compatible with iOS operated smartphones. A microphone is available for calls using your smartphone, or activate a voice assistant like Siri. It’s a convenient and efficient way to execute commands like switch music and alter the volume. A disadvantage of these earbuds is the lack of noise isolation, which might be a problem when trying to enjoy music in a noisy environment. Also, the limited battery life without the carrying case might be a hindrance for some. Overall, the Tranya headphones are excellent for everyday use whether you’re traveling or just chilling out in your garden. The minimalist design and low weight nature mean they are comfortable to wear. The deep rich bass is one of the highlights here that allows for an impressive music listening experience. 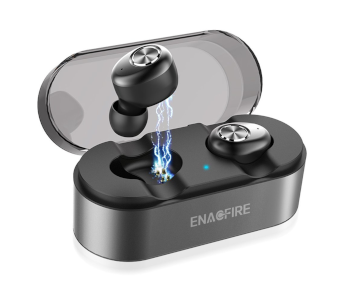 The ENCAFIRE E18 is one of the best value for money Bluetooth 5.0 headphones on the market. You’re getting a bunch of different features that are well implemented at just under $50. The combination of the design, price, and audio quality will impress you from day one. The Bluetooth connection allows for a 15 hour battery life, which means you can listen to music all day long without worrying about the need to charge. However, this battery life will be drastically reduced if you turn up the volume to max. Keep in mind that you only get around 4 hours of usage on a single charge, but the convenient carrying case provides the additional battery juice to achieve an overall 15 hours. The advanced charging system allows the earbuds to achieve 80% charge during the first 30 minutes of charging. A one step link technology is used to connect to devices in one step where a connection was established previously. This is convenient when you want to connect on the go without having to fiddle around with the audio emitting device. The earbuds have a minimalist approach to the physical design as there is no headband, wires or earhooks. From a distance, people won’t notice you’re using a personal audio device of any type. Furthermore, a microphone is included that can be used to have conversations on the go. A drawback of the ENCAFIRE E18 is that no noise isolation is supported. While traveling on public transport you’ll have to deal with background noise. Also, the battery life without the charging case is average. To summarize, ENCAFIRE E18 is a solid offering at just around $50. You’re getting a personal audio solution that’s comfortable, fairly priced, offers industry-leading Bluetooth, and comes with an advanced carrying case. It will be a challenge trying to find a better Bluetooth 5.0 audio solution at this price point. The Bluedio UFO2 and the Bluedio TM come with Bluetooth 5. It’s not called Bluetooth 5.0! The ATH-SR50BT by Audio Technica are Bluetooth 5 headphones. Bluedio TMS are equipped with Bluetooth 5 too. There is one thing I did not see addressed. Most of the individual earbuds get the same signal which means that they are not true stereo. That is a show stopper for me. That should be listed as a CON if that applies to these earbuds. Charging not charring, typo under cons. Thanks for the write-up, sadly none of these have long enough battery life for me to buy them. I’d love the HD4.50 from Sennheiser released with BT5, already has a 2-3 day battery life for my usage, I’ll probably swap to a PXC 550 successor if they release with BT5.